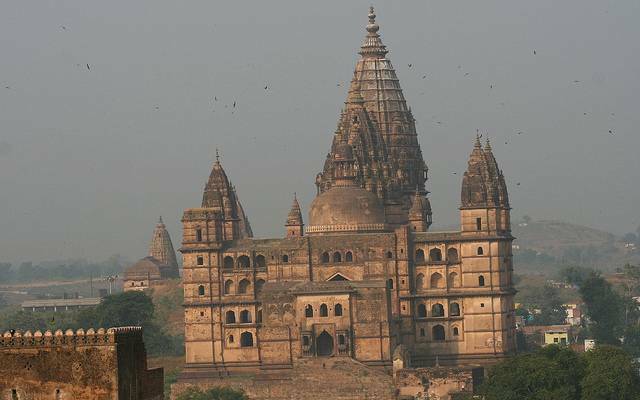 Chaturbhuj Temple is the most impressive and largest of the temples in Orchha. Chaturbhuj Temple is now dedicated to Lord Vishnu was originally built to place idols of Lord Rama. 'Chaturbhuj' refers to lord Vishnu who has four arms. It is built upon an enormous stone podium with steps leading to it. It takes a number of steps to climb up to the main level, but is definitely worth the effort. Views from the top are amazing. Chaturbhuj Temple is a massive structure and offers lot of space and light inside.